Have you seen the Asus transformer? It’s a tablet that can dock into a keyboard and it then looks like a netbook – and potentially could behave like one. There are many variations of this hybrid tablet come netbook device but this is the slickest one I’ve seen in action. For me, this would be a really useful device. Tablets have proven great for consuming media. Browsing the web hands on, playing about with some apps, reading some books, watching movies and so forth. It’s quite an engaging experience. When I need to do some work, plug the tablet into the keyboard and I can type away on some real keys. Plus the keyboard houses some USB ports and provides extra battery life. The supposed 15h package is a very strong selling point. But one thing pulls me away from this is that on my netbook, I’d like to have the proper Microsoft Word, Exel, Powerpoint for my work. I’d like to have FireFox for my browsing (and install all my plugins I’ve gotten used to). I want my watermark software (for blogging), possibly even Ovi Suite or Zune software (to connect my phones on the go) and possibly plug in some peripherals. Now some of those can be replicated by stuff on Android Market. But in reality, to do some REAL work on the move, I’d want Windows (possibly why I might not want MeeGo either). But I don’t just want Windows 7 any more though for portable work. What about later when I just want to kick back? But then I don’t want a Windows Tablet either (they’re all too clunky). I certainly don’t want to be carrying two devices. Enter Windows 8. 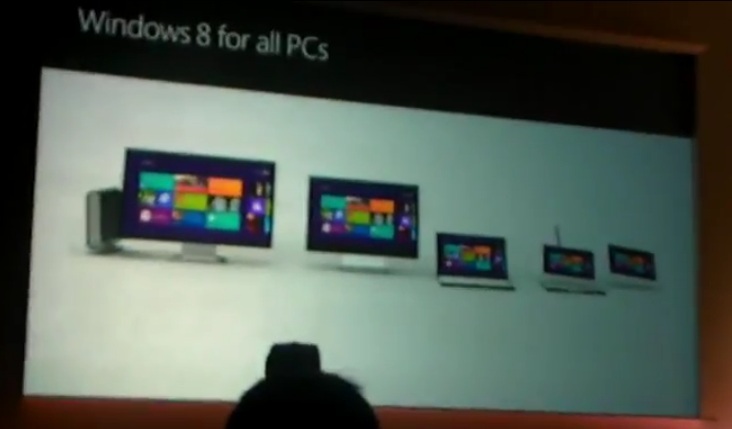 As we saw a couple of days or so ago, Microsoft gave us a sneak peak of what they’ve been working on for Windows 8. It has been “designed for touch, but works well with keyboard and mouse too”. What we saw with Windows 8 was essentially two modes of interaction available in one package. A simple, intuitive touch driven UI but also the traditional Windows style of access. This led to some criticising Windows 8 simply as a touch Windows Phone like shell on Windows 7. I could see this being really useful for me at university. 1, I can “save” somewhat by only having to purchase one device. The Asus transformer with the keyboard at the time I looked at it was cheaper than an iPad 32GB, about 100-150 more than a good netbook. With this I’d just have one device. 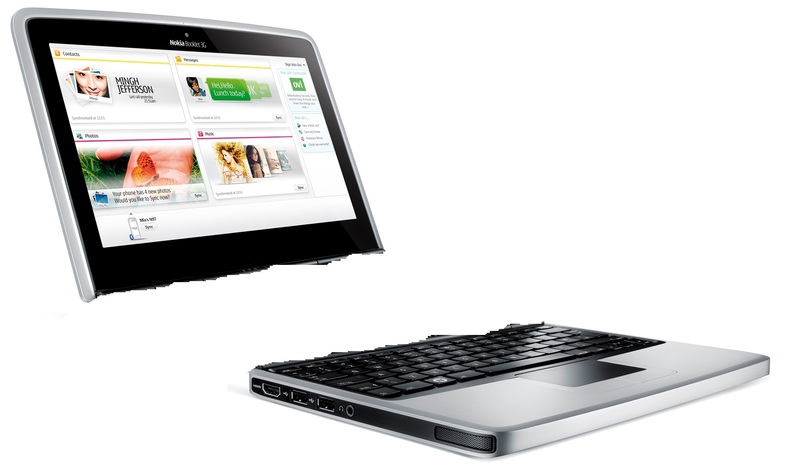 A netbook and a tablet in one, for play and work – not just in form factor but also with the software. 2) I can “save” my back in terms of what I carry. Realistically there’s not much difference, but if I’ve got to carry books, pads of paper etc I’d rather have not so many things in my bag. If I’ve got some textbooks to read, or group work to deliver my research, I can just have the tablet on its own. If I’ve got to write up the lectures, do some revision notes, or blog on the move I have the netbook. 3) 15h battery. Well I’m not really sure how Windows would impact battery on a device like Asus’ transformer. I know with Nokia’s Booklet 3G (it has a mega huge battery – 50% of the device) it’s feasible to get 10-12 hours on a single charge (though not doing so much multitasking, brightness not on max). Tablets in general have around 8h depending on what you do. With a transformer like package you can expect to do AT LEAST 8H doing the most demanding tasks (well that you could manage on this hardware). Windows 8 can run on ARM hardware (Nvidia have quadcore Kal-El coming soon – btw have you heard the rumours of supposed acquisition plans from MS?) though there was said to be lack of compatibility with legacy software. 4) All in one information. No need to transfer content from your netbook then to your tablet (if you do happen to be a person that would own both). There was another similar form factor device which had Android in the tablet but when docked went into Windows 7. I think something along the lines of just Windows 8 would provide a better experience. I’d LOVE for Nokia to make something like this. It’s not too far out of reach as they have made a netbook/”mini-laptop” Nokia Booklet 3G before. That received so much praise for build quality, many noting it seemed like Apple had made it – which is a good thing in that sense. Nokia haven’t entered the tablet market yet and this is something that could provide to be a differentiator for them, especially since they are now focused on a Windows/Microsoft based ecosystem. I’m not sure how Windows Phone 7.1 could integrate into Windows 8 but the familiarity of the interfaces will be pleasing to many customers. (Who knows, maybe Windows 8 might end up in the phone :p). Is this different enough? Nokia have said they just don’t want to be just another forgettable tablet and they won’t put one out until they could compete with iPad. We saw a month ago something cool on the books – dual screen with 3D gesture interface. What do you think of Windows 8? Could you see a tablet-netbook Windows hybrid useful for you? How should Nokia enter the tablet market?